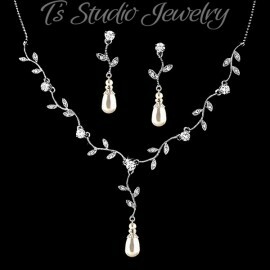 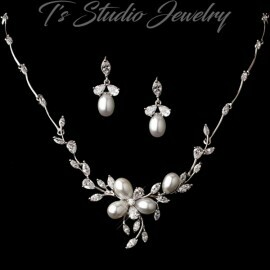 Elegant and stunning, this gold plated necklace and earring set is the perfect addition to your wedding, prom, or homecoming. 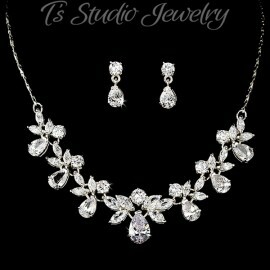 It features clear Swarovski crystals and rhinestones with porcelain petals arranged in a stunning floral design. 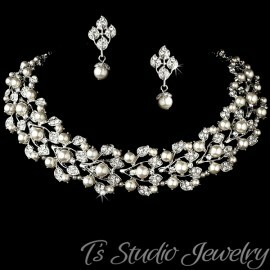 This set is available in Silver/White, Silver/Ivory, Silver/Champagne or Gold/Ivory.